This UPS replacement battery kit contains replacement batteries only. You must re-use your existing cabling and hardware. 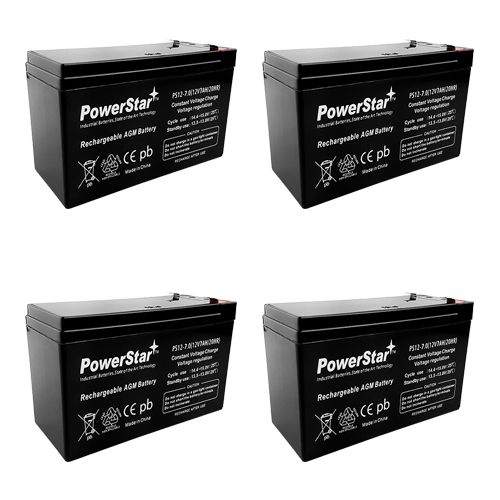 Kit consists of (4) 12Volt 7AH F2 Lead acid batteries Voltage 12 AH Rating 7 Chemistry Sealed Lead Acid Warranty 1 Year RBC31 battery kit replaces these APC models: RBC31, SURT1000RMXLI, SURT1000XLI, SURT1000XLICH, SURT2000RMXLI, SURT2000XLI, SURT2000XLICH, SURT48RMXLBP, SURT48XL.